Situated in Altaghaderry townland. There is a holy well and megalithic cairn on this hill [Colhoun]. 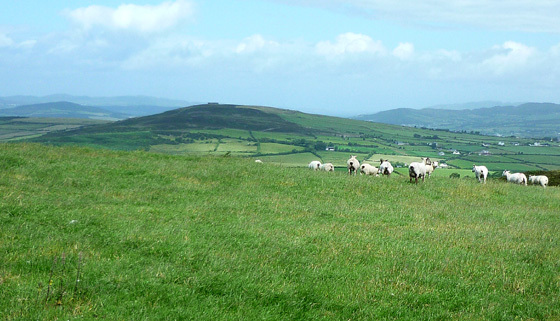 Holywell Hill is the 1255th highest place in Ireland. A short but enjoyable stroll.